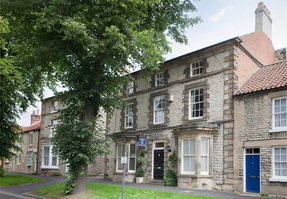 Cawthorne House Bed and Breakfast, Pickering, UK. Jayne and Steve would like to welcome you to their home, Cawthorne House Bed and Breakfast, a Grade II listed building, situated in the bustling market town of Pickering. After a busy day exploring the beautiful local area, Cawthorne House offers a welcome retreat. 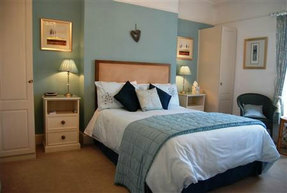 Each of our bedrooms is individually and tastefully furnished with great attention to detail. All of our rooms have comfortable beds, seating and newly refurbished individually styled luxury en-suite shower rooms with toiletries provided. Additional facilities include flat screen digital TVs, free Wi-fi access and hospitality trays. There is a selection of double or twin rooms each appropriately named after an area of outstanding natural beauty close to Cawthorne House.